Roast whole peppers at 400 degrees for about 20 minutes. Cool peppers, de-stem and de-seed. 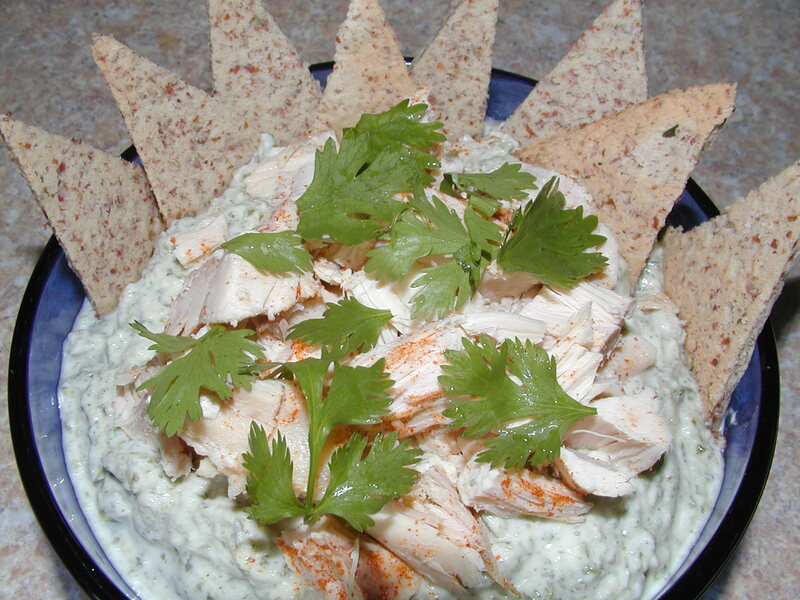 In food processor, mix peppers, cream cheese, sour cream, cheese, parsley, salt, and garlic until creamy. Stir seasoned diced chicken into the dip mixture (optional). Garnish with fresh parsley or cilantro. Serve cold with crackers. Enjoy!